This Gloucester fisherman, 123 feet, 3 inches over all, is one of the few remaining vessels of her type in the country. 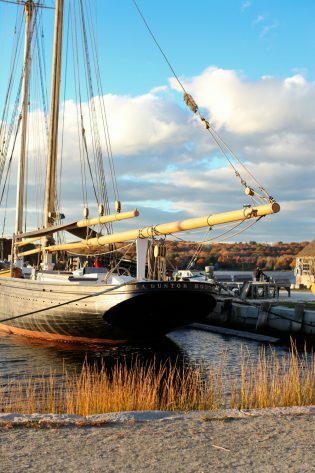 Sailing schooners were forced from the Grand Banks off Newfoundland and Georges Bank outside of Cape Cod more than 50 years ago, despite the fact that their design made them the fastest and ablest fishing vessels in the world. Designed by Thomas F. McManus, the L.A. Dunton was built by Arthur D. Story and launched from his well-known yard at Essex, Mass., in 1921. Built after auxiliary gasoline power had become common in schooners, the Dunton was probably the last large engine-less fishing schooner (a few later ones were built primarily for racing). The Dunton was used in the haddock and halibut fisheries, landing her catches in Boston. By 1923 she was equipped with a 100 H.P. Fairbanks, Morse and Co. C-O engine, and when the Great Depression worsened she was sold to Newfoundland owners in 1934. For 30 years she was used as a fishing and freighting vessel, eventually being converted to a motor vessel with auxiliary sail. 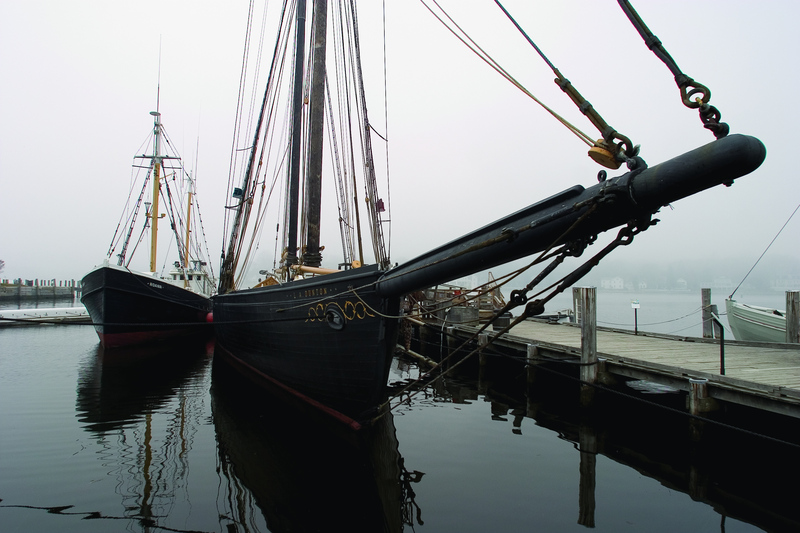 In this form she came to Mystic Seaport Museum in 1963. Soon after the Dunton’s arrival, restoration to her original design was undertaken. Subsequent work has ensured that her structural integrity is maintained. Between 1974 and 1985, her engine was removed, her stern restored to the correct appearance, deck beams, deck planking and frames replaced, and her topsides were replanked. This work was necessary to maintain the Dunton as an example of the finest type of American fishing schooner and a testimonial to the hard-working fishermen who manned her. The L. A. Dunton was designated a National Historic Landmark in 1993. On the continental shelf, between the warm waters of the Gulf Stream and the cold flow of the Labrador Current, shallow plateaus called banks are fertile grounds for marine life. For more than 500 years, fishermen have come to the banks seeking the natural bounty of cod, haddock, halibut, and other edible fish. Sailing from the principal New England fishing ports of Gloucester and Boston, the L.A. Dunton worked all these waters, from Georges Bank 100 miles east of Cape Cod, to the Grand Bank of Newfoundland, 800 miles east-northeast of Gloucester. When New England fishermen began to work shallow, rough Georges Bank in the 1830s, it was the most productive fishing bank in the North Atlantic. The L.A. Dunton usually fished these waters between Labor Day and Easter, catching haddock, cod, hake, cusk, pollock, and halibut to be sold fresh in Boston. By the end of the Dunton‘s American career in the early 1930s, the effects of overfishing on Georges had been noticed, but the fishing effort increased. The net form of fishing represented by the Museum’s eastern-rig dragger Roann, practiced through the 1960s and 1970s by huge foreign fishing ships as well as U.S. and Canadian vessels, depleted the most popular species. In 1994, most of Georges Bank was closed to fishing in hopes that the haddock, cod, and flounder populations would recover. 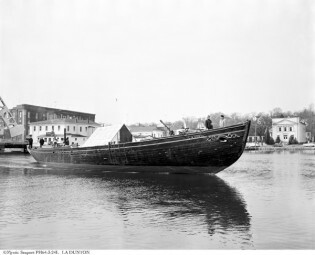 Roann is one of the last surviving examples of the fishing vessels that replaced sailing schooners like the L.A. Dunton.